Justyne Caruana (centre) addressing the news conference. 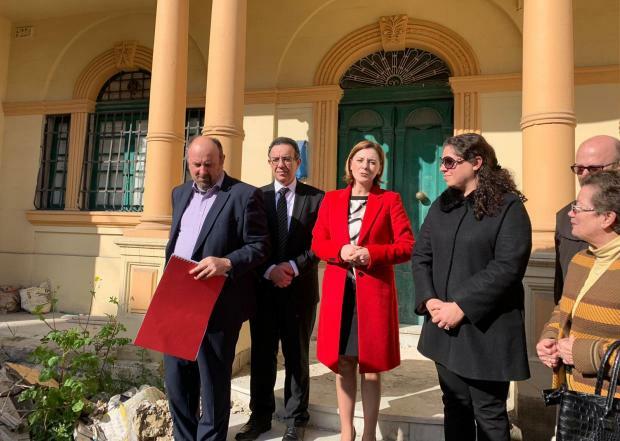 A dilapidated Birkirkara townhouse is being transformed into State accommodation for Gozitan students and relatives of patients who will be able to spend the night when the need arises, Gozo Minister Justyne Caruana announced on Monday. 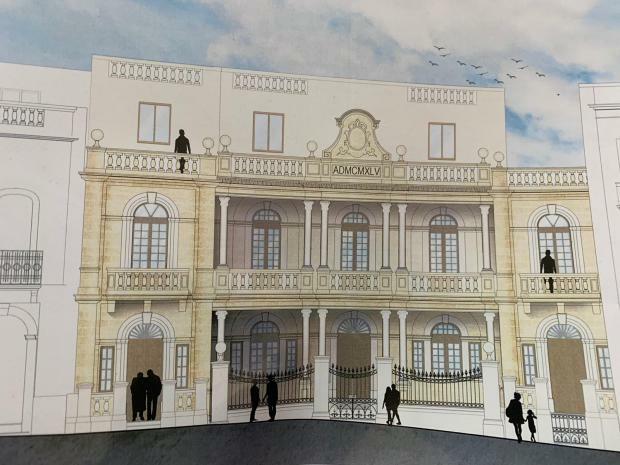 Addressing a press conference, Dr Caruana said the building, Villa Lauri on Birkirkara’s busy Mannarino Road, would house some 33 beds in a series of self-contained studio apartments. These would be available for Gozitan students or Gozitan relatives of patients in hospital who require a bed to spend the night in. A system was being worked out with the University of Malta administration on the way students would be allocated apartments and what criteria would be needed. “What is certain is that we want to avoid any type of stigma,” she said. Read: For Gozitan patients treated in Malta, home is a long way away. Villa Lauri was passed on to Church in the mid-1970s and had served as free accommodation for refugees for several years. It has, however, been closed for some time, slowly falling into disrepair. An agreement was reached between the Government and the Church last year for the use of the building. Dr Caruana said tenders had just been issued for contractors to renovate the building, which is expected to be open by the end of the year.